For those of you who’ve heard of Enterprise Nation, you’ll know of Emma Jones – the founder who’s very much the heart & soul of the business. 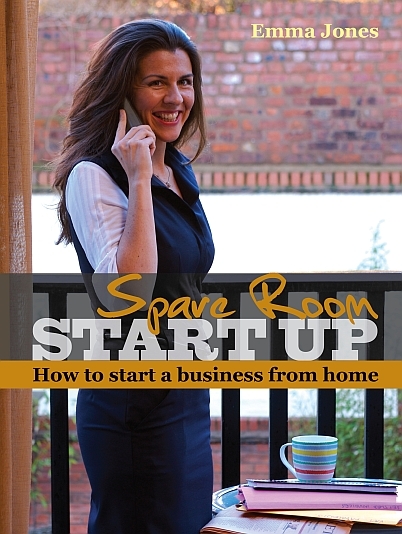 A serial entrepreneur herself, Emma has now written a book on home working called “Spare Room Start Up” shown here. I was pleased to attend the launch of the book myself last week. Emma has gracefully extended a special discount of £10 to all PeoplePerHour Providers (some of which are in fact featured as case studies in her book!!). Even if you know everything about home working, Emma’s book is bound to help you in some way, be it winning more business, saving cost, making more effectrive use of technology in your work or – often neglected – achieving a better work-life balance. To take advantage of this offer email us on and write “BOOK OFFER” in the title of the message.